I don't know about you, but I hate business cards. Just the other day, somebody asked me for my business card. Normally, I try to keep a few in my wallet, but I barely have room for two, so when I reached into my wallet... I didn't have any left. So, I wrote my information on the back of a piece of scrap paper. That's not quite the first impression I wanted to leave. 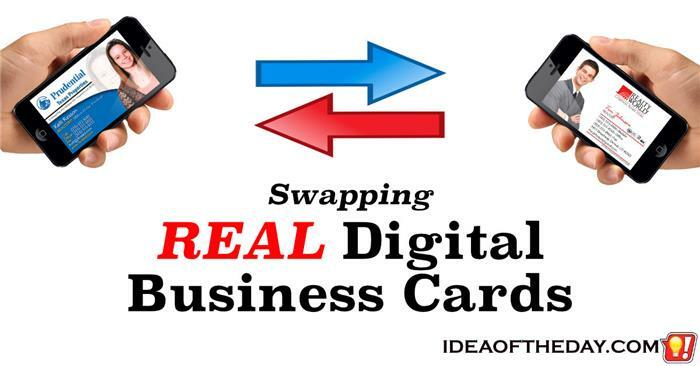 That incident made me think about the benefits of a Digital Business Card. If iPhones had a feature to send, receive, and organize Digital Business Cards, he and I could've just swapped cards in couple of seconds, and neither of us would worry about running out of cards, or losing a card that somebody gave us.